Man, some girls just have something about them. Something that grabs ya by the balls and twists and you wind up loving every second of it. Case in point: Lizbeth Scott as Mona Stevens in 1948 scandalous tale of infidelity and obsession, Pitfall. 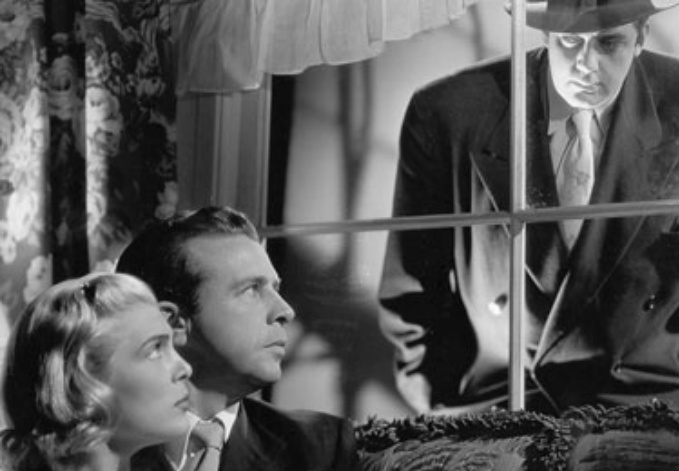 This is a great noir that shines an ugly light on what boredom can do to housewives and insurance investigators. The film’s plot attacks middle class values with smoking revolvers as it barrels headfirst into the unforgiving brick wall of fate. And doom. And blondes.